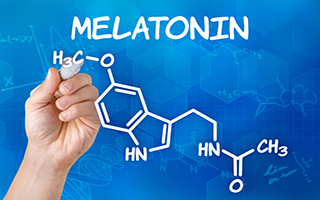 In the past few issues of Second Opinion, you've read about many of the important effects of melatonin. Many people still think of melatonin as simply a sleep aid. But as you now know, there's so much more to this incredible hormone. And if you have Irritable Bowel Syndrome (IBS), or know someone who does, you'll be amazed at what it can do for your digestive tract. For the study, the researchers looked at a group of 80 postmenopausal women. All of the women suffered with IBS. For those who don't know about IBS, it's an uncomfortable and distressing condition in which patients' bowel functions alternate between constipation and diarrhea. But did you know that IBS comes in two flavors? One type of IBS is the constipation predominant type or IBS-C. The other type is the diarrhea predominant type or IBS-D. Here's what the researchers did. Before the experiment started and during the study, they checked the patients' 6-sulfatoxymelatonin (6-HMS) concentration in their urine. This is a marker of melatonin. The higher it is in the urine, the more melatonin your body is making. Then they gave all of the women either melatonin supplements of 5 mg at bedtime along with 3 mg on an empty stomach during the day or placebo pills. Then, for the next six months, they measured the amount of symptoms the patients were having. These included pain, bloating, diarrhea, constipation, etc. Here's what they found. The women who had IBS-C responded very well to the melatonin supplements compared to the placebo. 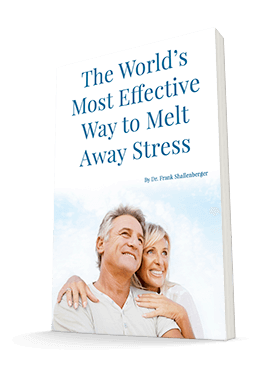 Their levels of abdominal pain and bloating decreased a remarkable 70%. And their constipation improved by 50%. And the researchers discovered that the higher their levels of 6-HMS, the better they responded to the melatonin. This is strong evidence that the effects of the melatonin worked better in women who were already deficient, had nothing to do with placebo action, and were dose dependent. What about the IBS-D group? Surprisingly, they showed no benefit at all. So it seems that IBS-C is caused to a large extent by a melatonin deficiency, whereas the IBS-D has other causes. In the words of the researchers, "Melatonin can be used as part of the treatment of IBS, particularly in patients with constipation-predominant IBS." But why did the melatonin work at all? Melatonin is thought by many to be a brain hormone. But the fact is that more melatonin is produced in the intestines than in the brain. And one of the primary actions of melatonin in the intestines is to relax the smooth muscles that surround them. This, of course, is important when it comes to symptoms such as intestinal pain and bloating. And don't forget that melatonin starts becoming deficient in most people in their 20s. By the time we hit our 50s, the amount of melatonin our bodies make can be extremely low. This is why so many people have bowel issues and constipation as they get older. A little melatonin in many cases will take care of these problems. Oh, there's one more thing. Why didn't the people taking the melatonin during the day get sleepy from it? It's because melatonin is not the same as a sleeping aid. Of course, it's important for sleep. But our bodies make it all day long for many other functions. So if you have IBS, especially if it's the IBS-C version, the odds are good that your body is crying out for some melatonin. Remember that the symptom relief was dose dependent. So if a little doesn't work, try some more. Melatonin is extremely safe, and unlike other hormones, taking high doses of melatonin does not cause the body to make less. I routinely give 20-60 mg of melatonin to my patients. And I take 20 mg every day. Chojnacki C, Walecka-Kapica E, et al. Influence of melatonin on symptoms of irritable bowel syndrome in postmenopausal women. Endokrynol Pol. 2013;64(2):114-20.